The real estate markets in the SF Bay Area are parts in an overall economic reality that includes a number of financial, demographic and psychological components – all of which are impacting each other in constantly changing ways. Some are local, and others reflect national or even international events or trends. They often run in parallel, but can also diverge or reverse themselves very suddenly, as is well illustrated in many of the charts below. Below are snapshot analyses of what we see as major cogs in this economic machine. In some charts, we use specific data for San Francisco itself, but the trends seen there – such as home price appreciation, employment and housing affordability – are playing out, to varying degrees, throughout the Bay Area. That is, we believe these economic context illustrations generally pertain to the entire region. The charts are relatively self-explanatory if you wish to skip the descriptive text. Though this chart below refers specifically to state data, the trends illustrated most probably apply to the Bay Area as well. Of course, foreign immigration numbers in 2017 and later years may change dramatically with the recent changes in national policies. 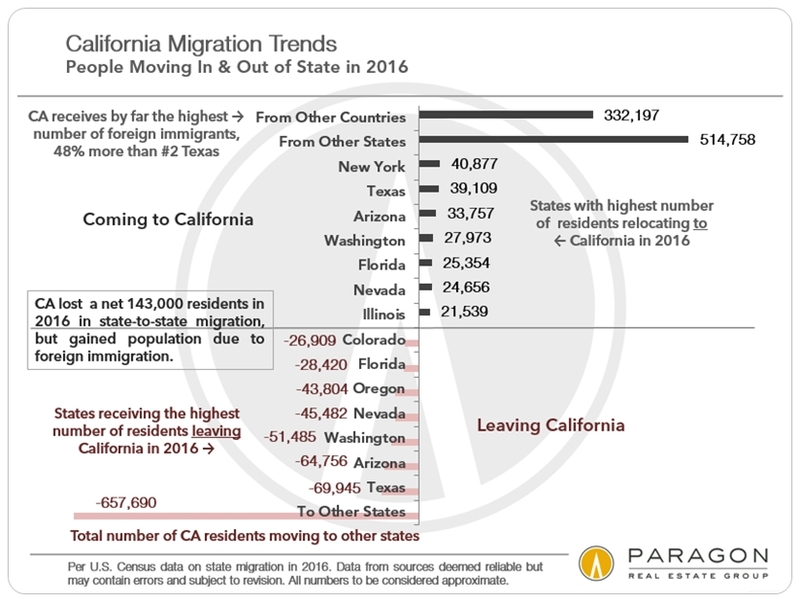 If foreign migration into the state drops, and emigration out to other states continues (or accelerates) on the below trend, it would eventually probably have significant ramifications for the Bay Area. This chart refers to 2016 data. A snapshot of what is currently in the pipeline for new construction in the city: Over 60,000 housing units of all kinds (sale, rental, affordable, social-project). 3 huge, long-term projects make up a big percentage of units planned. Note that the pipeline is constantly changing: new plans submitted, and existing plans changed or even abandoned. Just because something is in the pipeline does not mean it will end up being built. Economic downturns typically shut down new development plans very quickly. 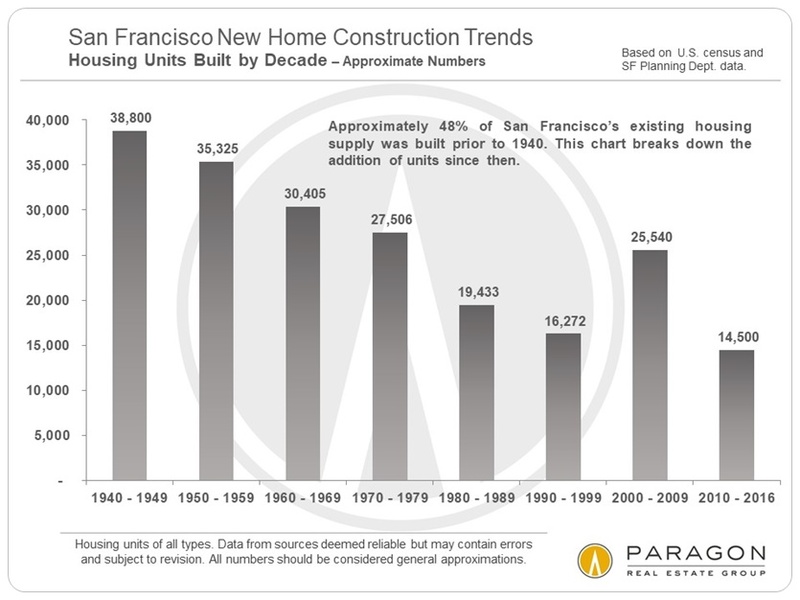 San Francisco appears to have a much bigger new-housing construction pipeline than most other Bay Area counties, some of which have very little planned or in the works. 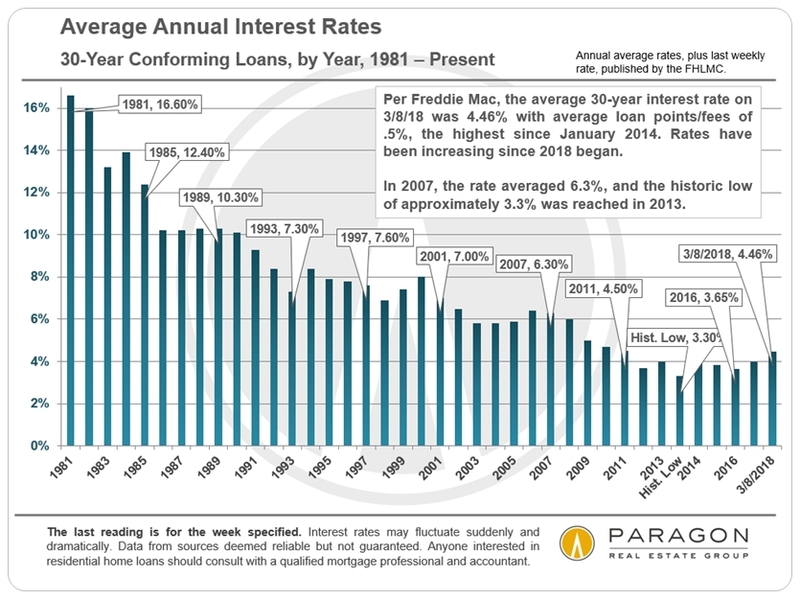 The 35% to 45% decline in interest rates since 2007 has played an enormous role in real estate markets, in effect subsidizing much of the home price increases seen in the past 6-7 years. 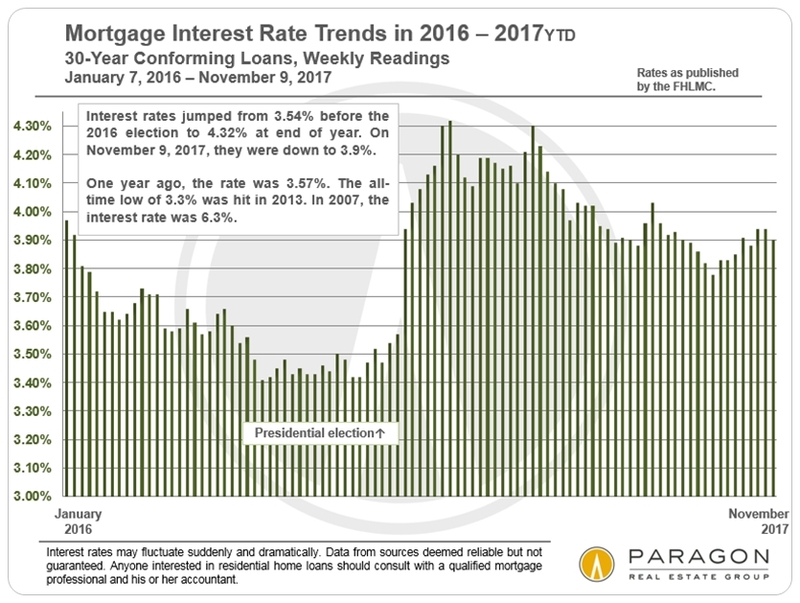 Since the 2016 election, rates first jumped up 23% and then declined again to, historically, very competitive rates below 4%. The fear that rates might rise again soon may have been one factor behind the feverish spring 2017 markets seen around the Bay Area. It is notoriously difficult to predict interest rate movements with any confidence. 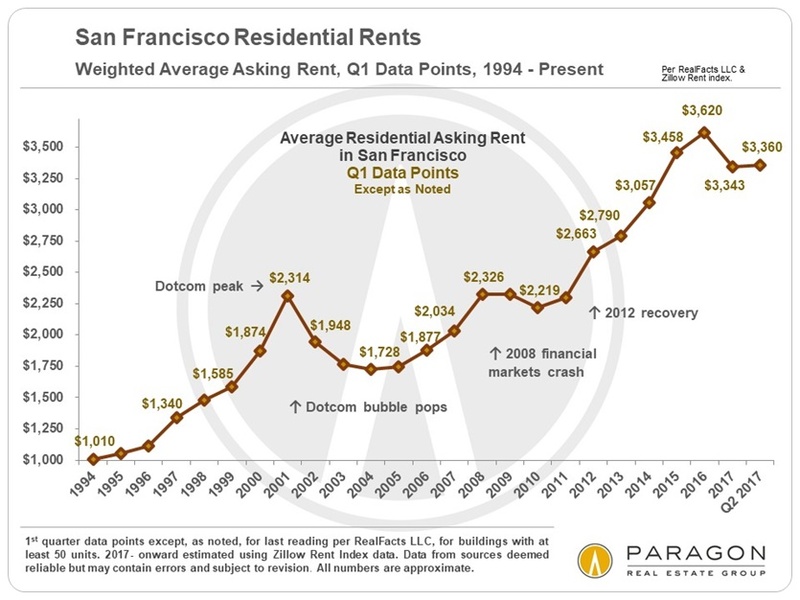 For landlords, the very substantial drop in interest rates coupled with the huge jump in rents, as detailed below, turned apartment buildings into cash machines, especially those purchased prior to the recent surge in investment property prices. Declining interest rates helped real estate owners of all types; unfortunately, renters reap no advantage from the shift. 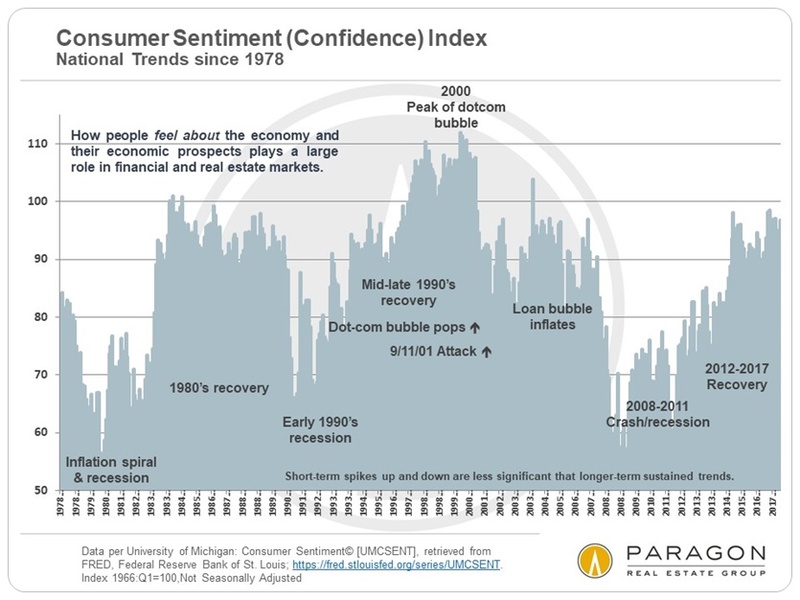 The monthly fluctuations in consumer confidence reported on in the media are relatively meaningless and without context, but longer-term movements are much more meaningful to overall economic trends. 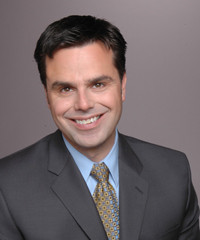 Psychology – confidence, optimism, fear, pessimism – often plays a huge role in financial and real estate markets. And events can sometimes turn consumer confidence one way or another very rapidly, whether such movements are rational or not. 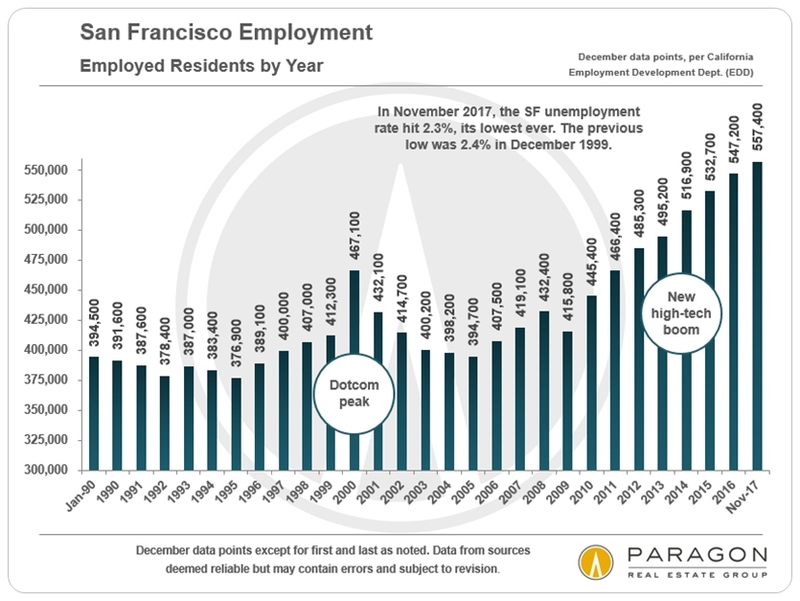 Besides the effect of increased, well-paid employment, the sudden creation of brand new wealth has been a very, very big factor in Bay Area real estate markets. IPOs can create tens of thousands of residents who suddenly feel much, much wealthier, and that impacts home buying. Local IPO activity increased through mid-2015, pouring hundreds of billions of new dollars into the economy, and then suddenly stopped in its tracks when financial markets suddenly became very volatile in September 2015. This particularly affected the high-end homes segment: Not only were new millionaires not being minted by the dozen, but the affluent are typically most sensitive to financial news and market volatility. The gigantic surge in the stock market over the past 9 years has also made people feel much wealthier, which, besides making new money available to purchase a home or a bigger home, stimulates consumer (and venture capitalist) confidence, which feeds yet more positive energy into the markets. As of January 5, 2018, the S&P has increased another 40 points since this chart below was updated on January 2. According to the October 7th Economist magazine, when the index was about 200 points lower, Only at the peak of the two bubbles [in the 1920s and the dotcom bubble] has the S&P 500 been higher as a multiple of earnings measured over a ten-year cycle. For whatever you believe that is worth. The above S&P chart smoothed out all the volatility to illustrate the overall steady climb in stock market values since 2009. 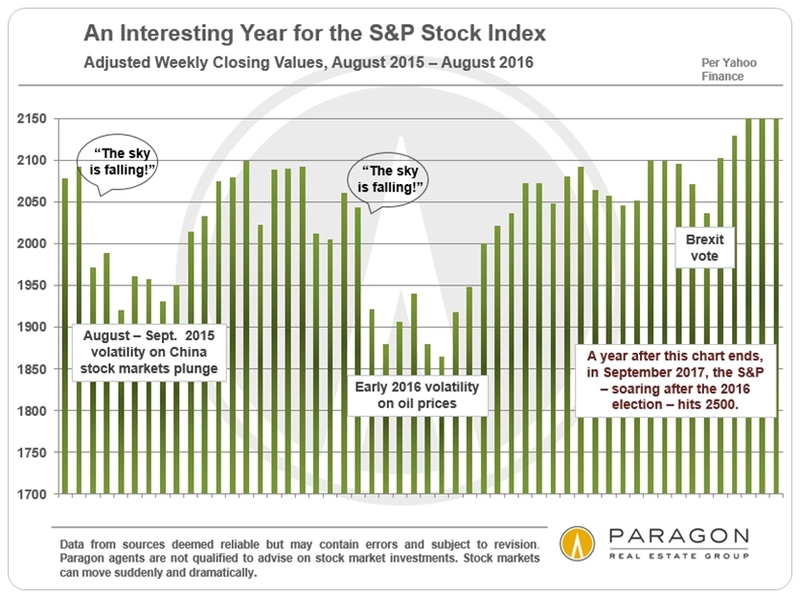 Below is a snapshot of the volatility that occurred from autumn 2015 to late summer 2016 (with an allusion to the big jump that has occurred in 2017 YTD): stock markets plunged in September 2015 to recover fully by November, then plunged again in January 2016 to recover again by April. Then came a smaller response to the Brexit vote. This volatility affected IPOs, venture capitalist confidence (to continue funding start-ups), hiring, and real estate markets, especially of more expensive homes. 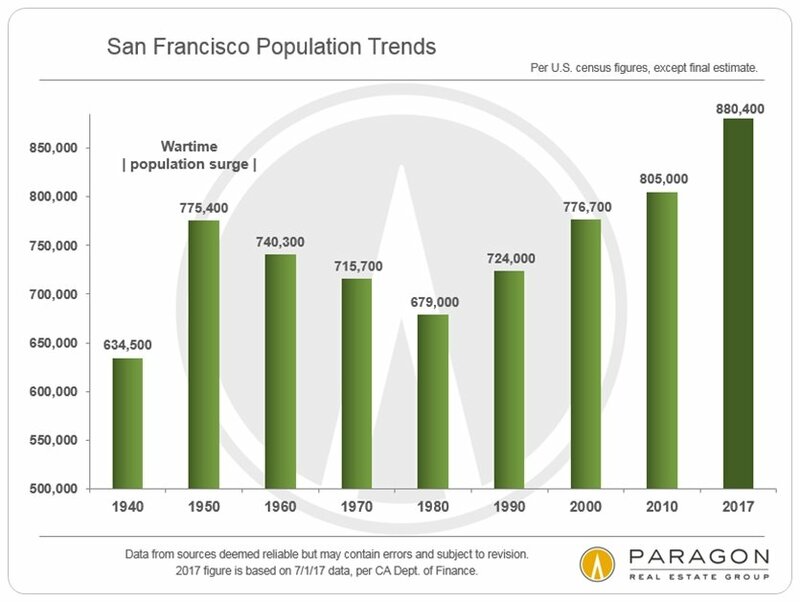 One local, respected economist predicted in late 2015 that soon “there would be blood in the streets of San Francisco” from a collapse in high-tech and housing booms. Then financial and real estate markets, hiring, VC and consumer confidence bounced back dramatically in 2017, and he revised his estimate for streets filled with blood to 2019 or 2020.
for the 25 most populous metro areas in the nation. 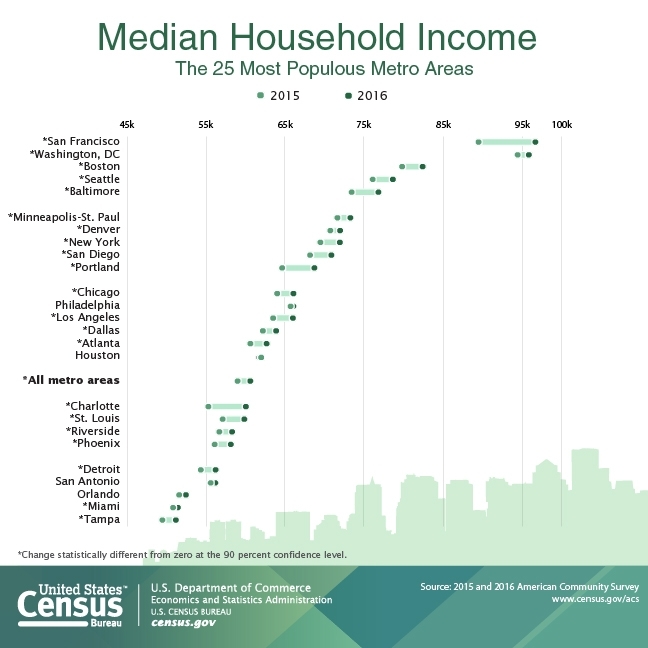 The SF Metro Area ranks first. Rents declined from a peak in 2015 due to increased supply (new apartment buildings coming on market) and a softening in high-tech hiring through mid-2016. In 2017, there have been some preliminary signs of a slight recovery in rent rates, though the data is still very short term. 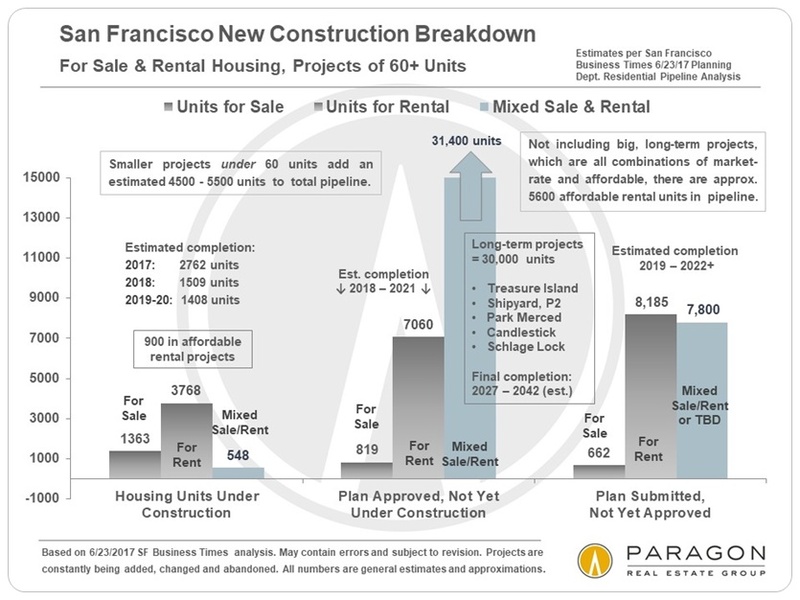 There are still many thousands of new apartments in the new construction pipeline in San Francisco, which may pressure rents downward once again depending on whether hiring and demand ramp up again. What goes on in commercial rents is another angle on the residential real estate market, since the growth or decline of the city’s businesses is a very significant factor underlying housing demand. Despite increasing amounts of new office space coming on line, commercial lease rates continue to hold up, not only because of new and growing start-ups, but because of huge new leases being signed by high-tech heavyweights such as Facebook, Google, Amazon and Dropbox, who have decided to expand their footprints in the city. 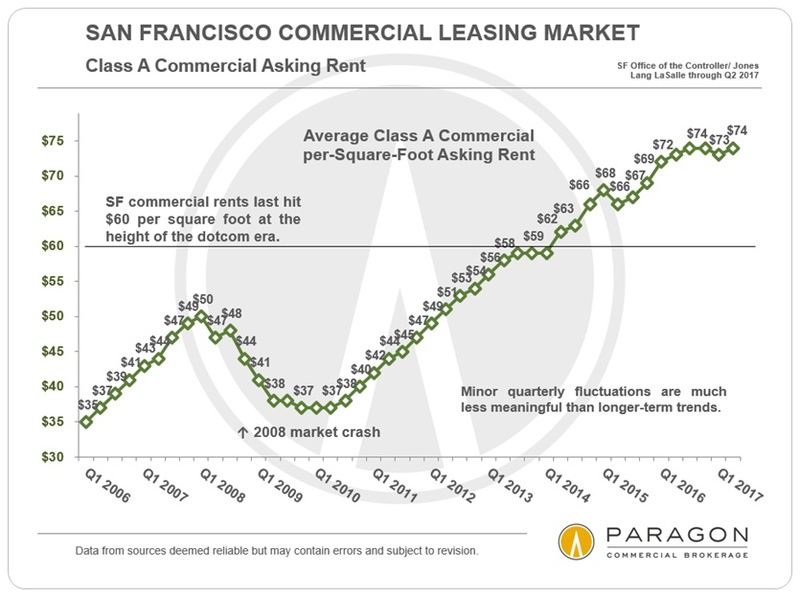 Office lease rates are very sensitive to economic conditions, having dropped precipitately twice in the last 17 years, first after the dotcom bubble burst and then after the 2008 financial markets crash. 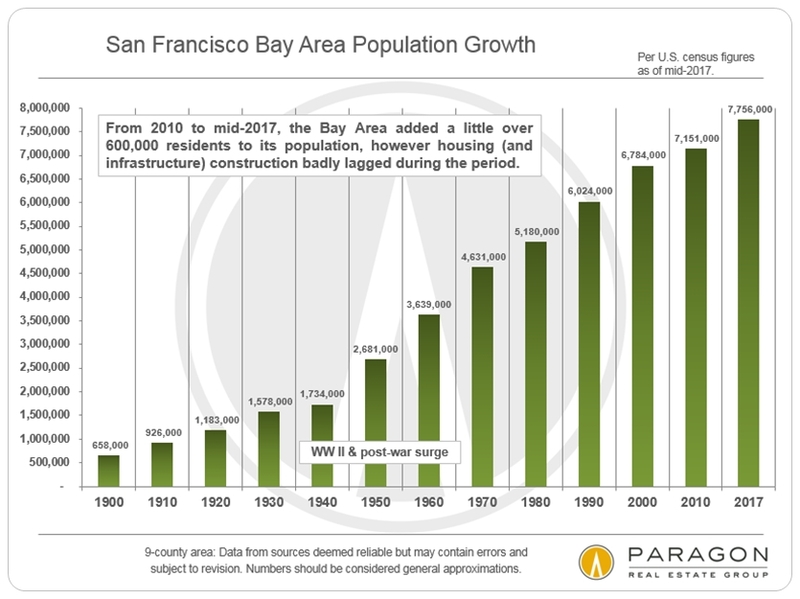 Besides the approximate 10 million square feet of commercial space under construction in SF, there are another 20m square feet somewhere in the longer-term planning pipeline (not all of this is office space). 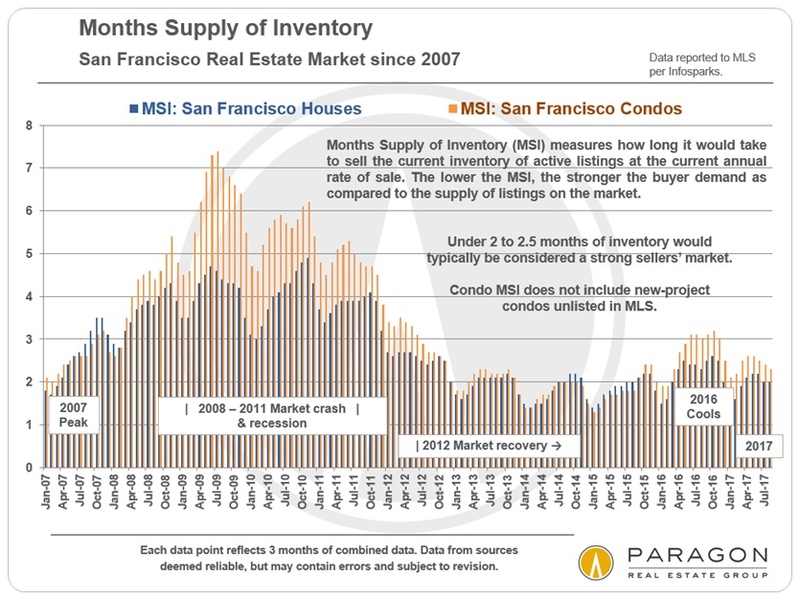 Besides the issue of a possible economic downturn, it remains to be seen if such an enormous amount of new supply (if actually completed) can comfortably be absorbed without a significant drop in lease rates even if no downturn arrives in the near future. The net net: If demand increases for all the reasons mentioned earlier – demographic shifts, new wealth, new jobs, more confidence – but the number of homes being put on the market declines, that further unbalances the supply and demand dynamic, and creates the pressure that classically leads to higher home prices. MSI is a statistic that takes into account both buyer demand and the supply of homes available to purchase. 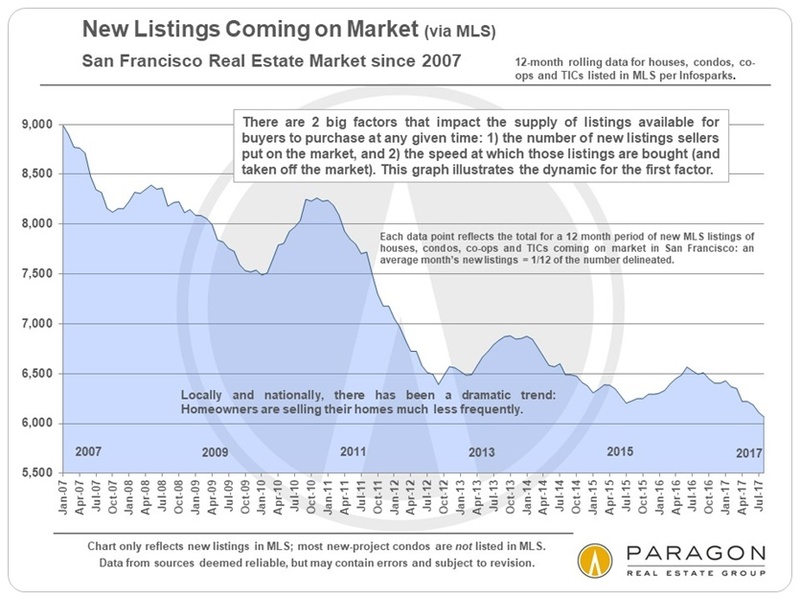 The lower the MSI, the greater the competitive pressure on prices: Very low MSI figures, such as we have been seeing around the Bay Area in almost all market segments, means that there are too many buyers for the number of homes on the market. This leads buyers to bid against one another: Nothing leads to higher prices more quickly than this dynamic. 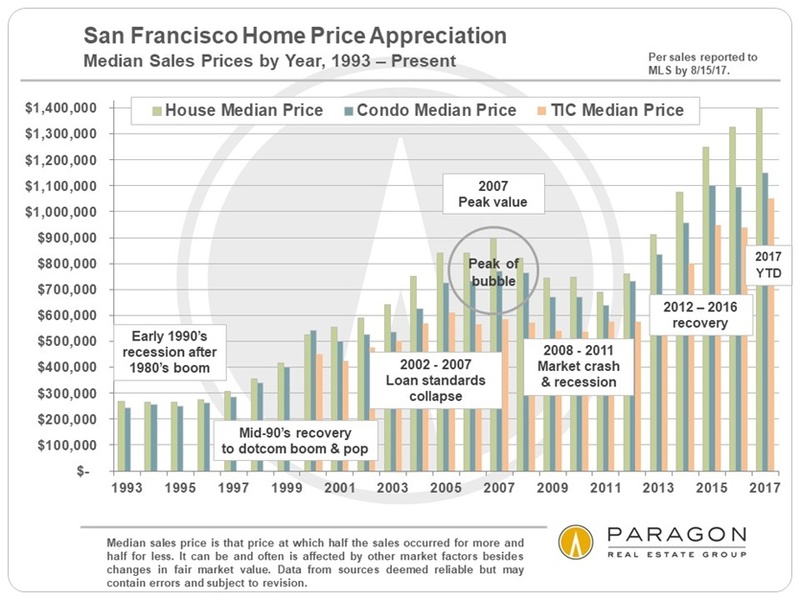 This chart is for SF, but the entire Bay Area has seen similar upward swings in home prices since 2012. In many ways, this chart is the result of everything that has been illustrated in previous charts in this report. However, it should be noted that the very considerable appreciation in home values has also increased the wealth of large numbers of homeowners, which feeds back into the financial and psychological loops. Another interesting dynamic – mostly anecdotal for the time being – is that many Bay Area home sellers are taking their often stupendous capital gains from local home price appreciation, retiring and moving to areas of much lower housing costs (which then helps to pressurize those markets, to the dismay of home buyers there). 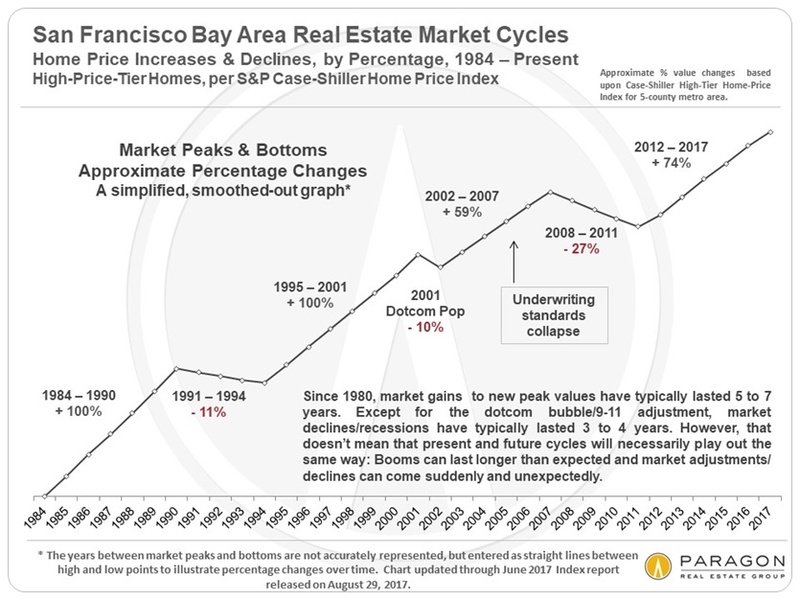 This very simplified, smoothed-out graph illustrates the percentage ups and downs in home prices over the past 30+ years per the S&P Case-Shiller Home Price Index for “high-price-tier” homes in the Bay Area: High-price-tier homes predominate in most of SF, Silicon Valley and Marin County, as well as in enclaves in other counties. 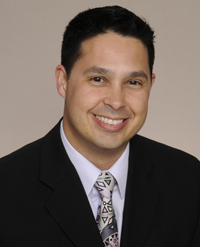 Like other financial markets, real estate markets are subject to cycles. However, they are hard to predict because there is no hard and fast rule as to how long cycles will run. Booms can last longer than expected, or suddenly get a second wind, and downturns can come out of nowhere to severely negative effect (though downturns don’t have to be severe). There are so many churning, shifting, interrelated economic, political and ecological factors in the mix nowadays, running from local events in the Bay Area to developments in Wall Street or Washington, or China, Europe, North Korea and the Middle East. 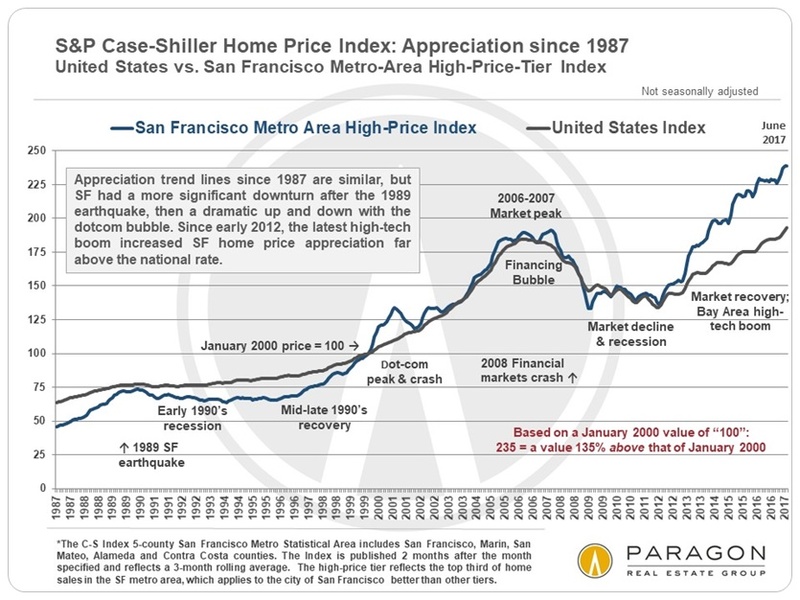 What has happened home prices in the Bay Area has also been occurring generally in the country, though our high-tech/bio-tech/fin-tech boom has certainly goosed appreciation here. 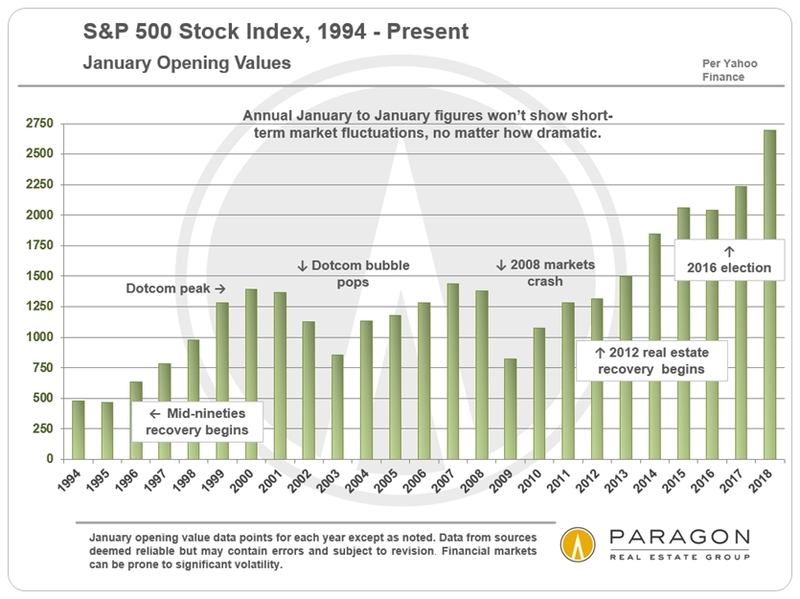 However, it is interesting to note, that for the most part, the trends are quite similar over recent decades, with divergences for the 1989 earthquake, the dotcom boom and bust, and the most recent recovery. It will be interesting to see if the trend lines converge again as has happened in the past. All the factors that have pushed up home prices have pushed down affordability. 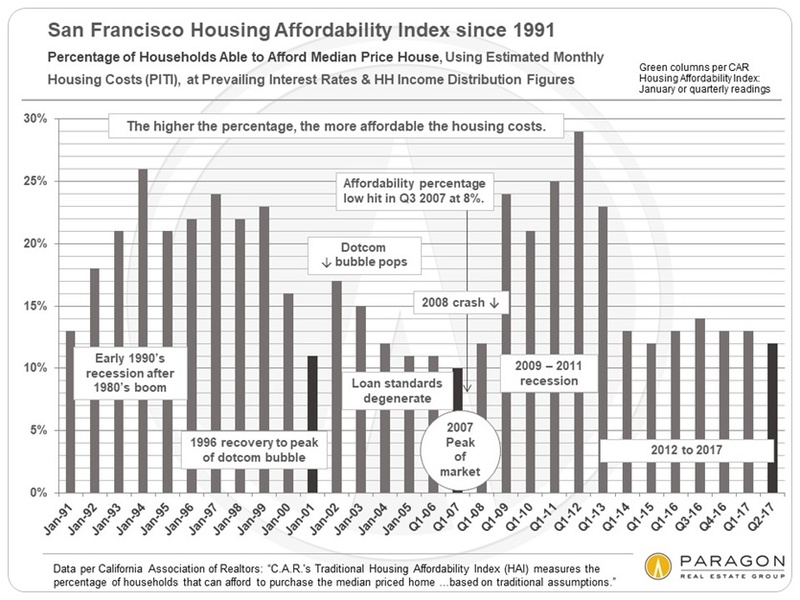 San Francisco and San Mateo Counties have the lowest housing affordability percentages in the state (and maybe the nation), but affordability has been rapidly declining around the Bay Area. When affordability gets too low, it starts to throw a wrench in some of the other components, like population and hiring. People and companies start moving away, poverty increases, start-ups start up elsewhere, rents begin to soften, and so on throughout the economic ecosystem. And, of course, as clearly illustrated, affordability can move in very dramatic cycles, just like the other factors discussed above. Housing affordability may be the biggest social, political and economic issue facing the Bay Area right now. With statistics, one is almost always looking in the rear-view mirror, and, as anyone reading the news during the past year knows, the future is an unknown country. As they say in the standard disclaimer, past performance is no guarantee of future results.